THINK FOR JUST A MOMENT of all the things that require practice: grammar, arithmetic, cooking, and even the guitar. Practice is probably something you think you’re done with when you leave school or give up music lessons. But, have you ever thought of practicing the fine art of gratitude? The simplicity of gratitude and the powerful effect it has on our lives is unequaled by any other practice of its kind. There’s a special kind of magic in gratitude for it raises our consciousness, recharges our energy, enhances our self-worth, and strengthens our spirit. Gratitude most certainly counts. It’s quite possible to attain great wealth, the best education, and an exceptional quality of life and still be unhappy. This occurs when people live with an absence of gratitude. Success is a process that includes both peaks and valleys, but the one constant in a truly successful life is gratitude. 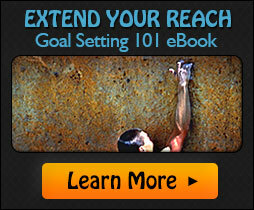 A successful life requires ongoing growth, and gratitude ensures growth. Gratitude heightens awareness and expands your interaction with the world. Once gratitude becomes part of your nature you begin to see the connections between your success and creature comforts, and the talents and contributions of others. The farmer plants, waters, fertilizes and harvests the tomatoes you enjoy. The truck driver delivers the food to the market that will soon feed your family. The baker kneads and bakes the bread for the sandwich you?ll eat for lunch. The engineer and architect design the bridge that allows you to get to work. The furniture maker?s handiwork creates the furniture in your living room. The plumber fixes your leak, clears your drain and plunges your toilet. The teacher educates and inspires your children to be the best they can be. The customer provides the support that enables everyone to receive wages. The performer engages the imagination and entertains your senses. The seamstress sews the beautiful clothes that make you look great. The physician and nurse help to bring your beautiful baby into the world. Pause for a moment and begin to think of the connections between people and you will immediately understand how important a role gratitude plays in the creation of a happy, productive life. We live in a world where we have much to be grateful for if we would just stop and look around. It’s quite humbling to think of all the roles that complete strangers play in our daily existence. The sheer ingenuity and effort required of others is one of the most compelling reasons why we must make gratitude a daily practice. Humility is a virtue integral to gratitude as we cannot recognize the need for gratitude without it. That is why I am most excited to share with you my newest book. 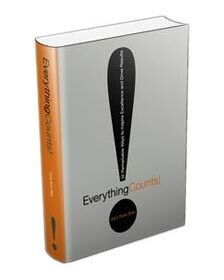 Everything Counts has been a long time in the making…ten years to be exact. It is a wonderful and timely message for living a full, rich life of excellence, gratitude and quality. John Wiley Publishing has created and priced Everything Counts so that you can give it as a gift to every person on your Christmas list. If there is anyone to whom you want to express gratefulness or someone who needs to be reminded that everything counts?this is the gift for them! I am very proud of this particular piece of work and very excited to finally be able to offer it to you!